Hi. I'm trying to use an online tool to specify the car tire that I want to buy, but it seems to me that I'm either getting the size wrong, or my size is not listed on that website. Can you please help me confirm my tire size or specs? I'm attaching a couple of images. Many thanks to anyone taking the time to help. 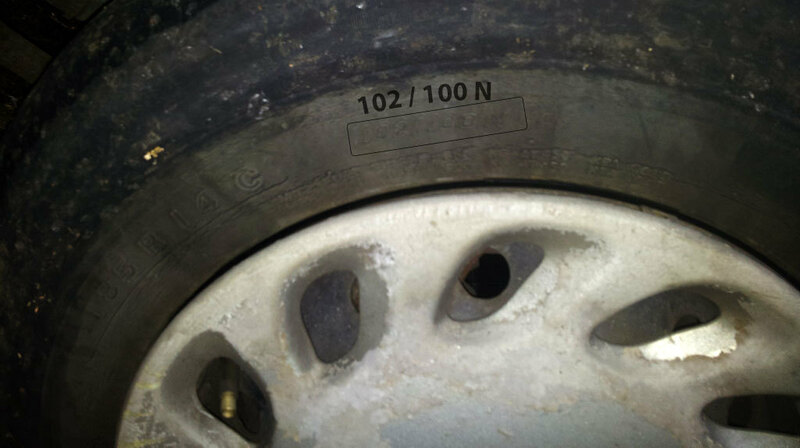 The tire size is 185R14C. 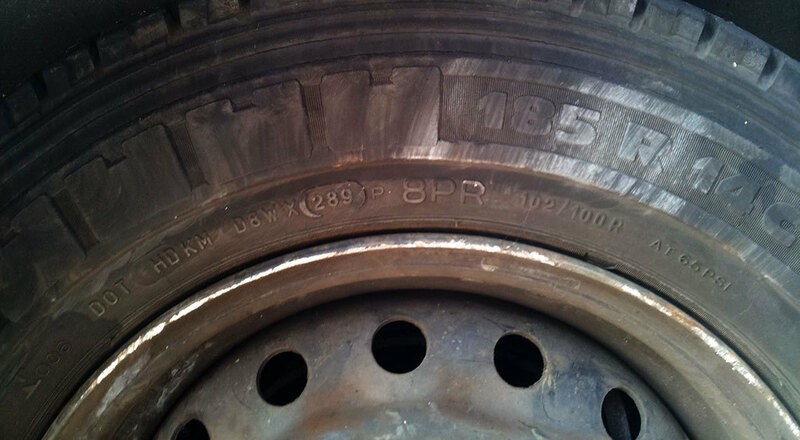 I also tried to check by my car model, and it turns out that I'm supposed to use tires of 215/65 R15 96H for this car. Apparently those tires were fitted due to budget at the time, that's all. Oh! That came to me as a surprise, because I assumed that the specs for the car model would be more accurate than the specs on tires that might have been used just to meet a budget. So you mean that if the tires in the above pictures are actually fitted and being used in that car, there is no way that that car's tire spec can be R15? If that is true, then it looks like the other numbers should be 205/70, according to link deleted ... not allowed. Does this sound correct to you? 205/70 R14? Yes, 205/70R14 would also be an acceptable substitute but I can't tell you what's supposed to be on there since the year, make and model is posted nowhere. You need to read the FORUM RULES before posting. Apologies about the link; I thought just ad-like links that are not accepted. The car is a Toyota Estima (Lucida), manufactured 1992, and the chassis number starts with CXR10. I hope that helps; it was not very easy for me to find info for this car due to the various other similar models and such. No, that won't help me. This is not a US` sold car so I have no info on it. The sizes i gave you can substitute for the original. They just get a little wider. Yes, it is a Japanese import; had similar issues finding info. Ok, just to make sure I got this right, if the car has those R14 tires on it now, then that's definitely the correct size, and it cannot be R15, right? Other than that, either 205/70 or 195/75 will work, right? Apparently 185 would work, too, since they're used on the car now, but I don't know the other number that would go with 185. That would be correct, assuming it had the right size in the first place. The 15" definitely can't be done on those wheels. Thank you very much. This clarifies the issue for me. Those tires you have are 14 years old. They are also 8 ply so they were probably made for a trailer.